Vancouver Laser Hair Removal | Vancouver Laser Tattoo Removal | Laser toenail Fungus Treatment | Skin Rejuvenation – Hydrafacial| Botox | Vancouver dermal filler | Electra Laser Hair Removal uses medical-quality, CSA approved laser hair removal and laser tattoo removal equipment, offers the best value, and has some of the best professionally trained laser hair removal specialists. All our technicians are certified medical estheticians with over 5 years of experience. Contact us today to arrange a complimentary consultation. We also provide http://electralaser.com/treatments/laser-nail-fungus/laser nail fungus treatment. 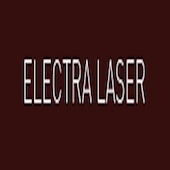 Electra’s laser nail fungus treatment is more effective than medication or surgery. Our Venus freeze treatments work better than body sculpting and feel like a hot stone massage.